You may have noticed that your auto insurance rates have gone up in recent years. Well, it’s not your imagination and it’s not just you. While rates usually increase by 3 to 4 percent every year, data from the Federal Consumer Price Index revealed that rates spiked up by 7 percent in 2016, and then another 7.9 percent in 2017. Our neighbor New Jersey has the highest rates, with an average of $1,309.29 annually in 2016, according to the Insurance Information Institute. New York was at number three, with an average of $1,301.64. In many cases, an increase doesn’t make sense, especially if you haven’t filed a claim. So, what’s the story behind the rapid rise in auto insurance rates, and is there anything you can do to stem the tide? Does your car have advanced navigation? Safety features like a blind spot warning, a backup camera, and smart cruise control? Do you have smartphone connectivity in your car? All that technology makes the driving experience better and safer, but it also leads to more expensive repairs in the event of an accident. A minor fender bender can end up costing a lot of money, as even something as simple as a side view mirror is more expensive. It used to be we worried about people talking on their cell phones while driving. Now, all those buttons and systems – GPS, satellite radio, smartphone – are causing major distractions for today’s drivers. Distracted drivers are at greater risk of causing an accident, and that has led to an increase in insurance rates. “The main cause of rising costs in distracted driving. When you aren’t watching the road, it not only increases the likelihood of a wreck but also increases the severity,” according to US News and World Report. More of us travel more miles in our car every day. Whether you commute to work, ferry the kids to ten after-school activities a week or you simply like to go on a lot of road trips, all that driving adds up. Additional miles lead to more accidents. Another reason auto insurance rates can go up is related to natural disasters in your area. If you experienced a hurricane, flood, earthquake, wildfire, or some other catastrophic event in your state or city – and that led to a big increase in claims – rates are more likely to rise. “When we look at why insurance premiums are rising, we need to look at events that happened in 2015 and early 2016, as this is the time frame insurance companies use to predict future losses and price future premiums,” says US News and World Report. Yes, all that advanced tech and safety features can cost more to repair but on the flip side, some features like anti-lock brakes, automatic seatbelts, and anti-theft devices can help lower your insurance rate. If you don’t drive as much because you’re retired or you work from home, you might qualify for a low-mileage discount. Be sure to also check out discounts offered to members of associations like AAA, college alumni groups, or business/industry organizations. Bundling is when you insure more than one thing with the same insurance company. For instance, you can bundle your auto and homeowner’s policies and save more money overall. You can also save by insuring more than one vehicle on the same policy. The deductible is the amount you agree to pay before your insurance kicks in to cover costs. A lower deductible equals a higher premium. If you can afford to pay more out-of-pocket in the event of a claim, consider raising your deductible. You’ll enjoy a lower monthly rate and you can always set aside that amount to help pay for repairs if you do get in an accident. New cars are generally more expensive to insure. So are sports cars and those that are in high demand from thieves. If you’re in the market for a vehicle, consider buying a good pre-owned vehicle. Not only will you save money on the overall cost versus a new car, but you will also enjoy lower insurance rates. If you have a habit of missing payment dates for your credit card – or you’ve missed some payments – you can expect higher auto premiums. What’s the link between credit cards and insurance? Late payments can affect your credit score. Fair or not, a lower credit score makes you more of a liability in the eyes of insurance companies. While this should be a given, the fact is that many of us are not safe drivers. We drive distracted, we drive too fast, follow too close, dart in and out of lanes, run red lights, ignore stop signs … well, you get the idea. Bad driving habits can lead to bad accidents. You have to remember that a car can be a deadly weapon. If you practice patience, follow traffic signs, and pay attention, you can avoid accidents and thus keep your insurance rates from rising. While it’s true that auto insurance is on the rise, there are things you can do to fight the trend. Consider these 6 steps as a way to lower your insurance rates. 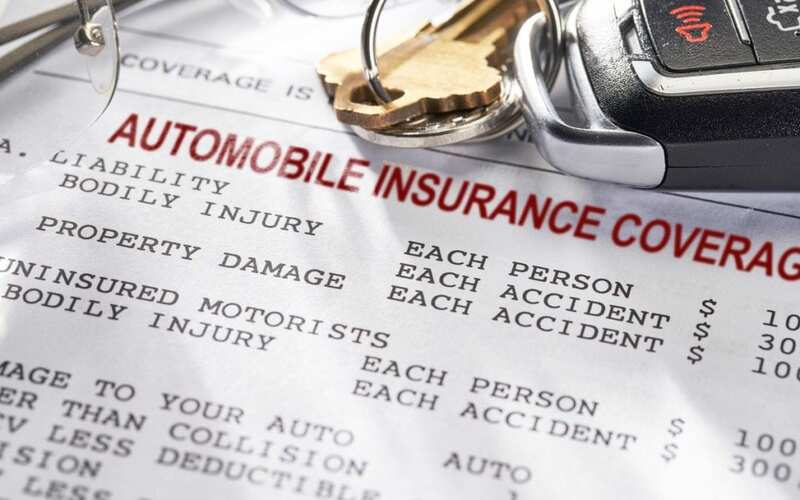 If you have questions about auto insurance or you’re interested in bundling policies, schedule a free, one-hour personalized insurance review with NICRIS Insurance or call us at 516-544-0006.